The CoDx Box™ is cutting-edge magnetic induction technology powering the most advanced qPCR cycler ever, manufactured for Co-Diagnostics by Bio Molecular Systems, the original team behind Rotor-Gene 6000™, X-Tractor Gene™ and CAS-1200™. The CoDx Box’s compact design is not only portable, its fixed optical path and no moving parts require no optical alignment or calibration – ever. 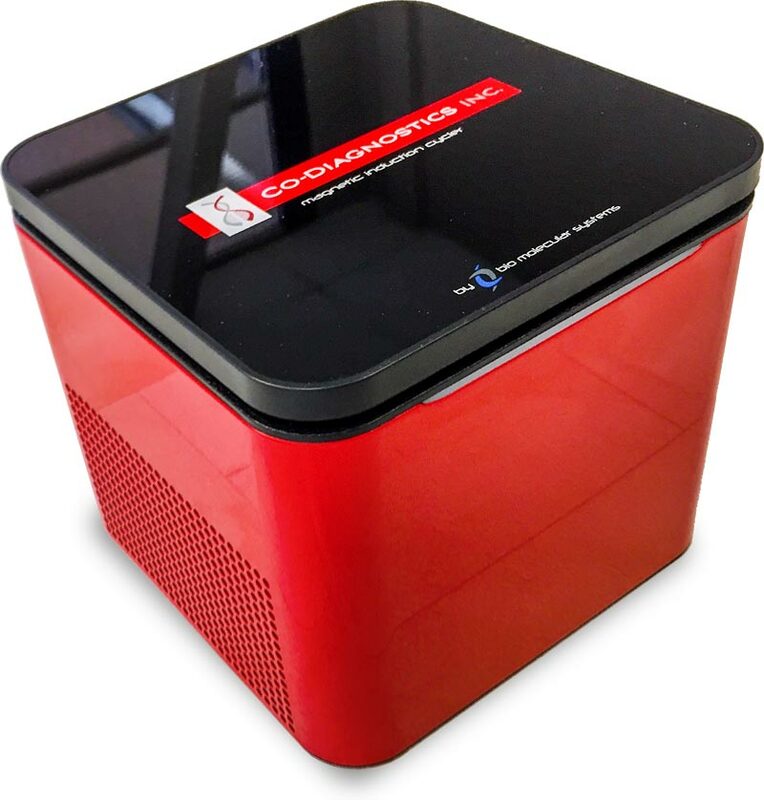 A qPCR cycler that NEVER requires calibration makes the CoDx Box a fast, flexible, and affordable qPCR solution suitable for any laboratory or institution, anywhere in the world. The CoDx Box software is tailored specifically to both simplify and enhance the user experience of CoDx-designed tests.